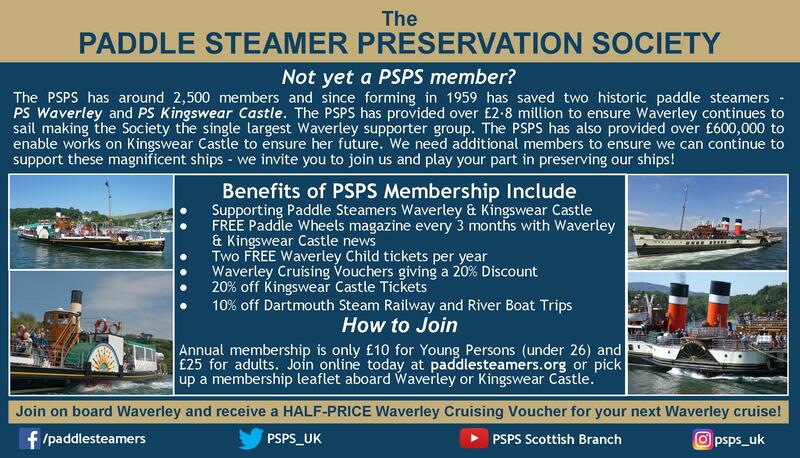 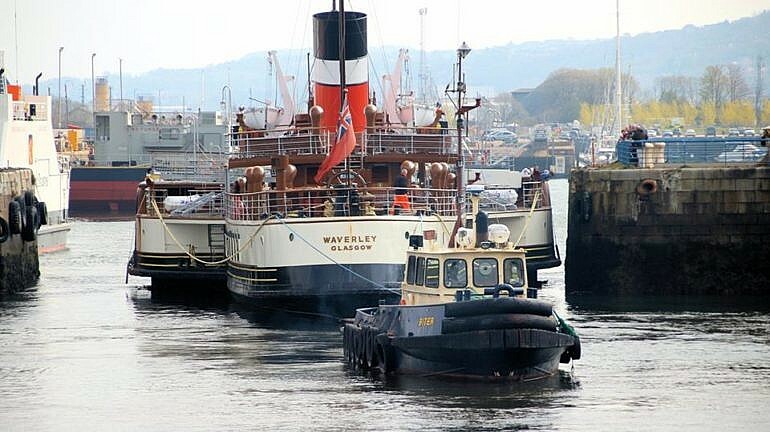 Waverley's annual visit to dry-dock is a sure sign that a new sailing season is nearly upon us. 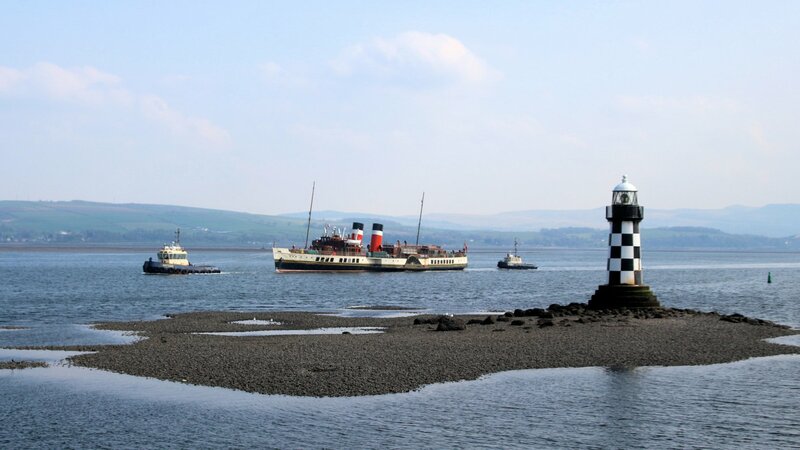 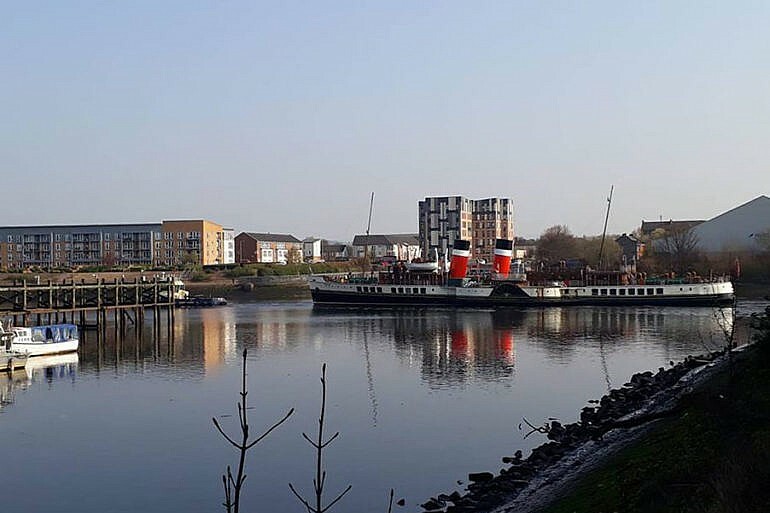 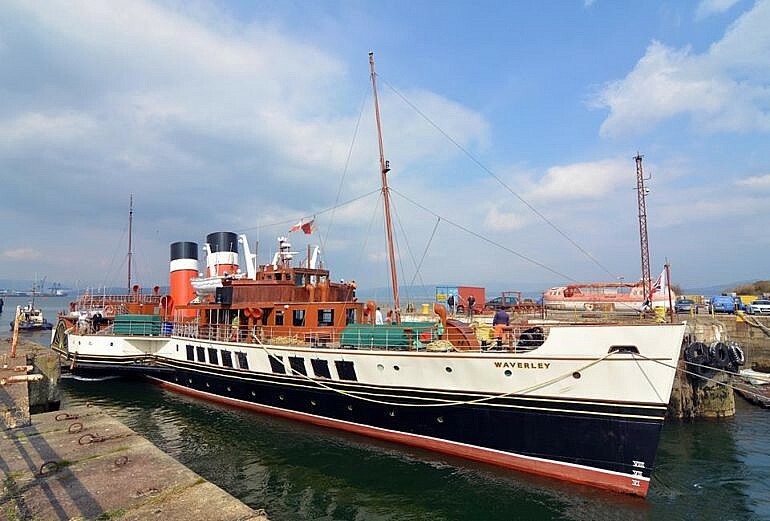 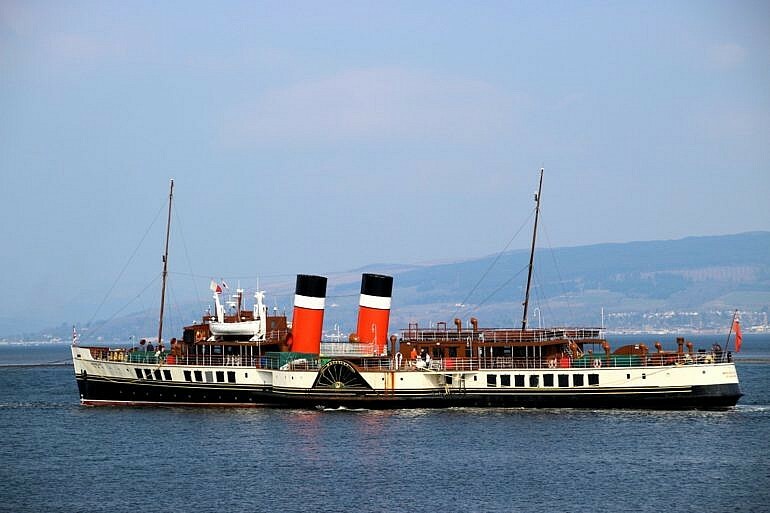 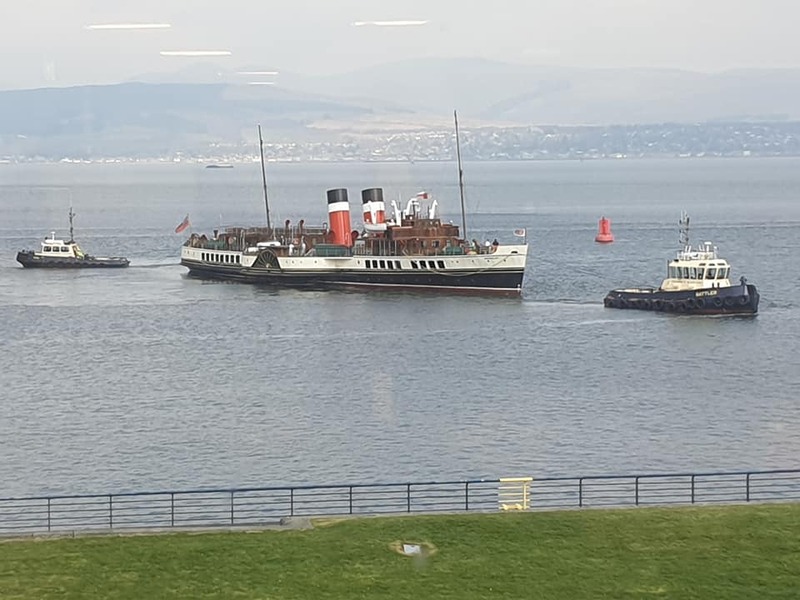 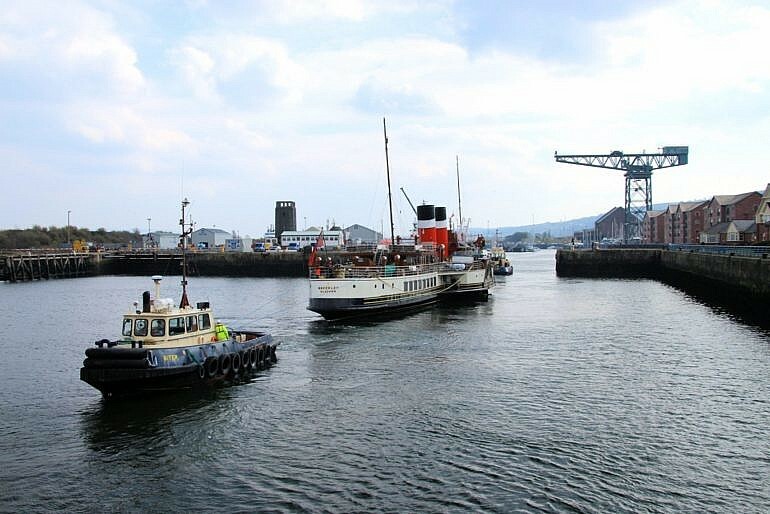 The pictures below capture Waverley's journey down the River Clyde on Friday 12th April 2019 from her winter berth in Glasgow to James Watt Dock, Greenock. 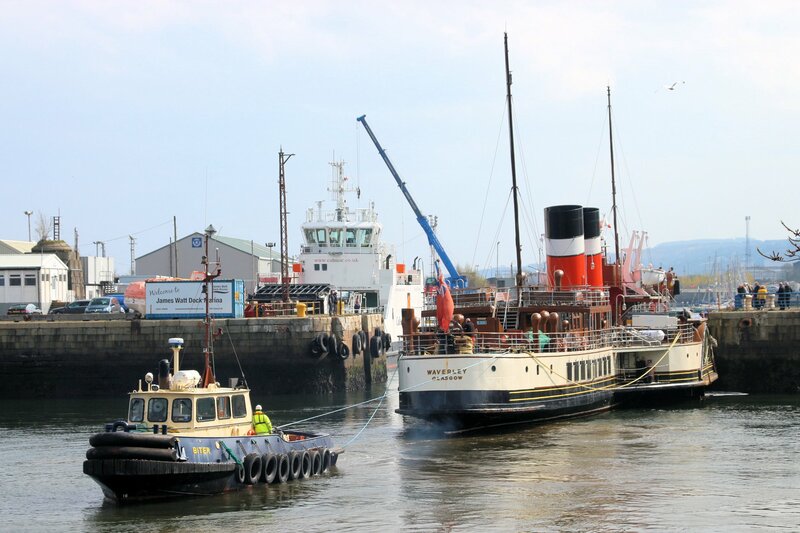 She was towed dead ship, as planned, by Clyde Marine tugs Battler and Biter as ongoing refit work on Waverley's boilers prevented movement under her own power. 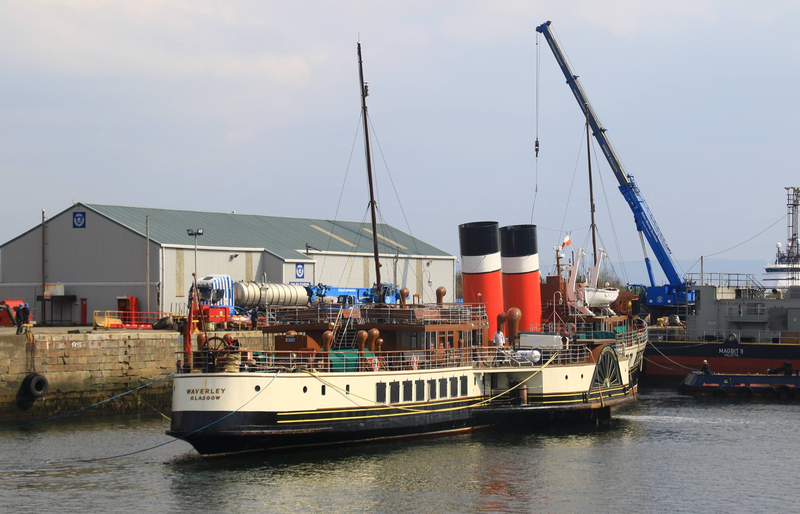 At around 8am on Monday morning 15th April, under the watchful eyes of Master David Howie, she entered Dales Marine Services's Garvel Dry-Dock. Title photograph by Kenny Whyte‎. 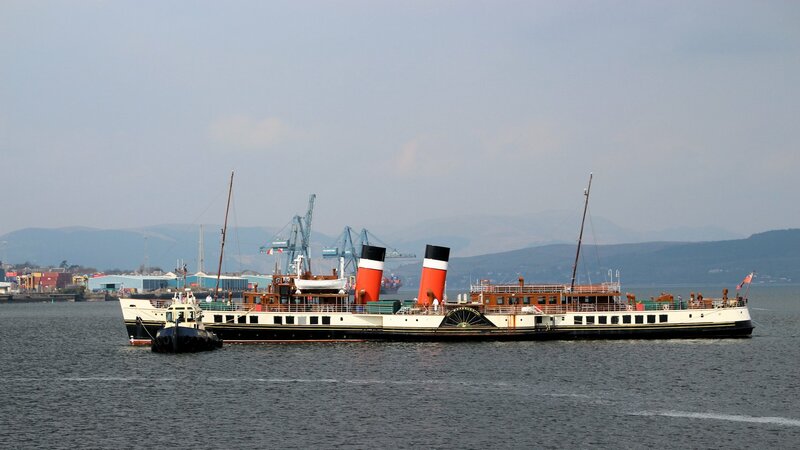 Thank you to all those mentioned above for their kind permission to reproduce their photographs.